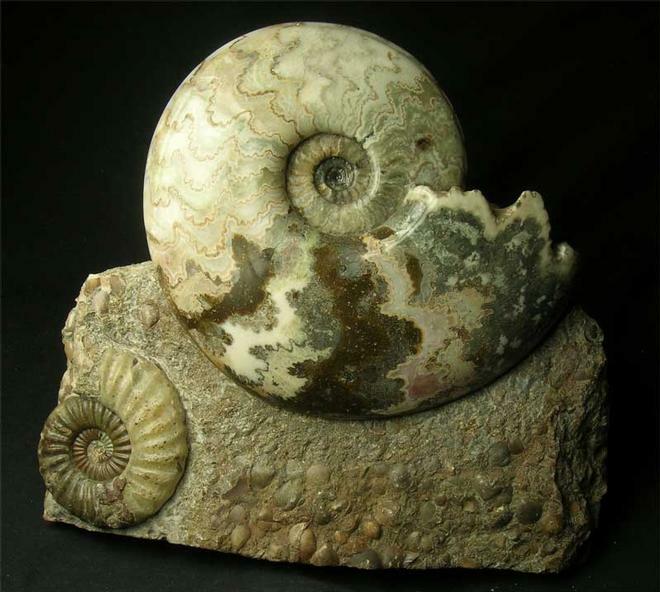 Preserved on a piece of Frodingham Ironstone, are these two highly sought after ammonites. 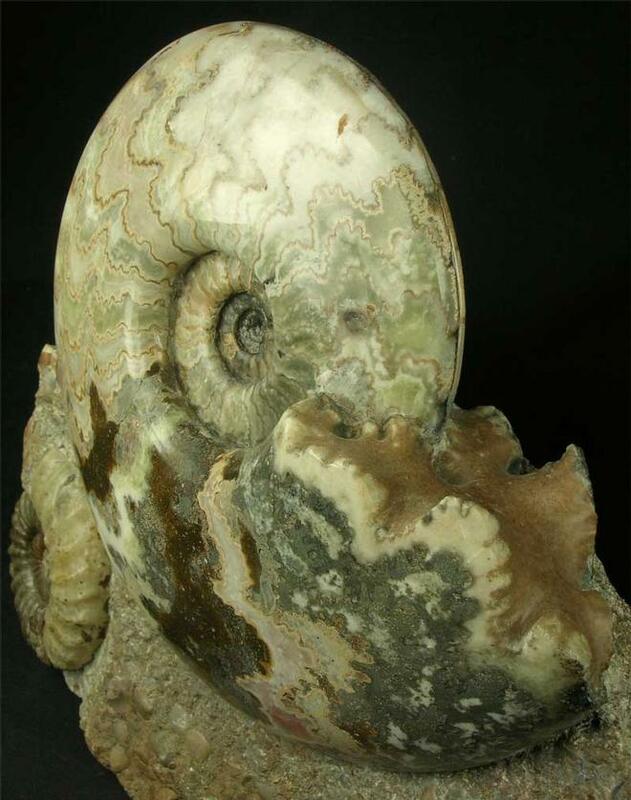 The Eparietites has had its shell carefully removed and a high polish applied to reveal the beautiful calcified and sutured ammonite and the "cats paws" have been prepared out. 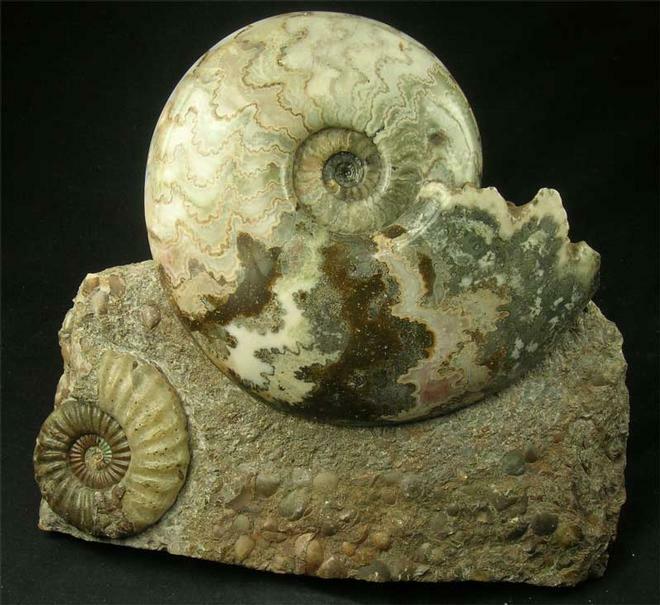 The ammonite has some restoration on the bodychamber which is the normal in these ammonites. It is rare to get two species preserved together. 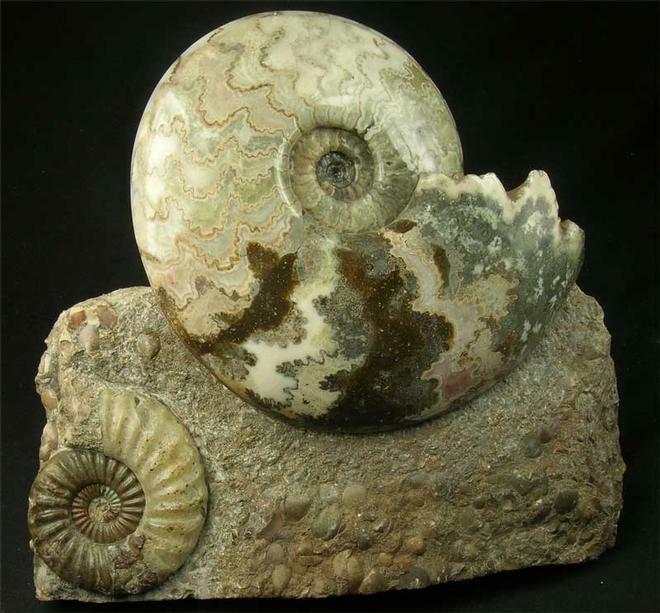 The specimen has a cut base and is approximately 200 million years old.